Braun Series 9 9095cc Electric Shaver Review - Most Efficient Shaver E..
We stacked all the results and experiences and make a detailed review of the device. 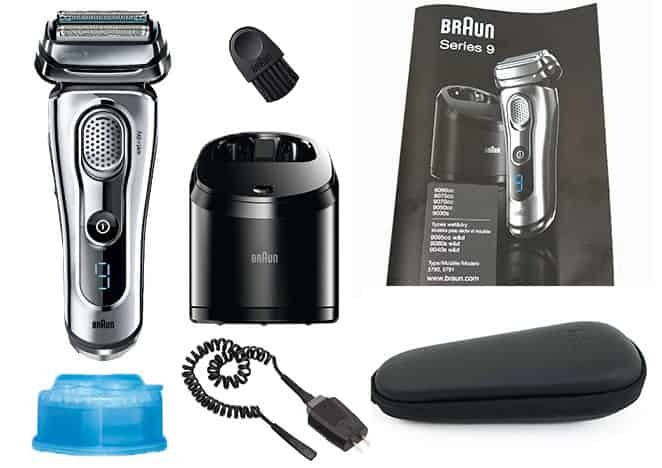 Read our detailed review of Braun series 9 9095cc electric shaver. The user manual is very detailed with lots of illustrations. However, it is not the best laid out user manual. And we found the layout to be strange. On the first few pages, it begins with all the illustrations. Then the instructions are on the rest of the pages. This is just how all the Braun shaver manuals are laid out. You will get warranty details there too. The next item in the box is the electric shaver itself. It comes already stored in a travel pouch. So you have not to be alert when you open your box. And also don’t be alarmed for don’t see the shaver in it. Open the travel pouch then outcome the shiny shaver. Braun refers to a cleaning dock as the Clean & Charge Station. Almost all shavers now come with a cleaning dock that cleans and charges the shaver. It also included in the box is the travel pouch. You will like the fact that it has a hard shell case which is called travel pouch. This gives the shaver extra protection in the traveling time when you just store the shaver in it. The case is finished with faux leather. There are ventilation holes around the hinge area. The aim of this hole is to keep the shaver dry when in storage and prevent the growth of mold. The last item in the box is the power adapter or charging cord. To charge it or used to power the cleaning dock, it plugs directly into the shaver. We had one issue with the power adapter is that the cord is rather short. This is not a big problem if you have a power outlet close to your bathroom counter. It also included in the box is a cleaning solution cartridge. Which the cleaning dock uses to clean the shaver. You will insert it into the cleaning dock and we’ll show you how when we get to the cleaning section. It is an alcohol-based solution. And therefore Braun claims it also kills all germs and therefore it hygienically cleans the shaver. The next item in the box is a small cleaning brush. It is used to clean the cutting head manually. The Braun series 9 9095cc is the world’s number #1 luxurious foil electric shaver included all the digital technologies. It has 4 foil blades where each has different functions with the wet & dry feature. The foil head is totally replaceable. Braun acknowledges that it has most advanced foil structure ever they made. Braun 9095cc has an attractive and sleek design. Braun designed this model by keeping in mind the ultra-modern user interface with high-quality shiny chrome plastic. It has a charcoal and dark gray mixing body along with gray and black cleaning unit, which is amazing. If we compare it to other electric shavers from Braun, this one is more attractive not only with its performance but also with its looks. The design is very user-friendly to grip it and stroke from any angle. The device dimension is 6.1 x 2.7 x 8.7 inches and it weighs 2.6 pounds. It has a pivoting head to reach hard to touch areas and a battery life LED display which made the device looks gorgeous. In the handle it has rubber grip as when you hold the shaver correctly even in the wet shave, this will protect the shaver from slipping in case your hand is slippy. On the inside, Braun 9095cc shaver has a mighty Synchronize motor. This motor allows the blade to vibrate at a mind-baffling speed of 40,000 times in a minute. When some of the best electric shavers for men available vibration at about 15,000 to 18,000 times per minute. Now, you can easily imagine how powerful this one can be. Everything I had to say positively about the latest model is therefore still true for me. Personally, I love the metallic finish, the perfect shape, the size – everything. The Braun 9095cc electric shaver is fully waterproof and highly competent for both wet and dry shaving. You can rinse it with direct water and wash it by your hand and it is allowed after every stroke. Every electric shaver has a common interface which is dry shaving, where this shaver gives very comfortable and closest dry shave. 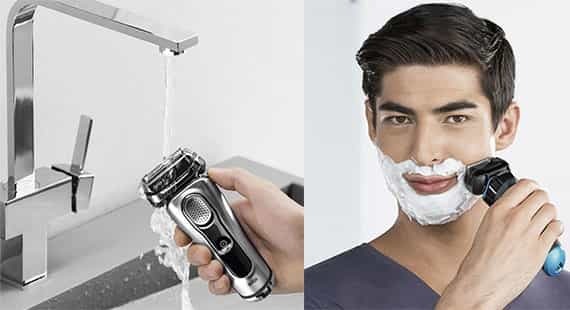 This shaver also has wet shaving feature. 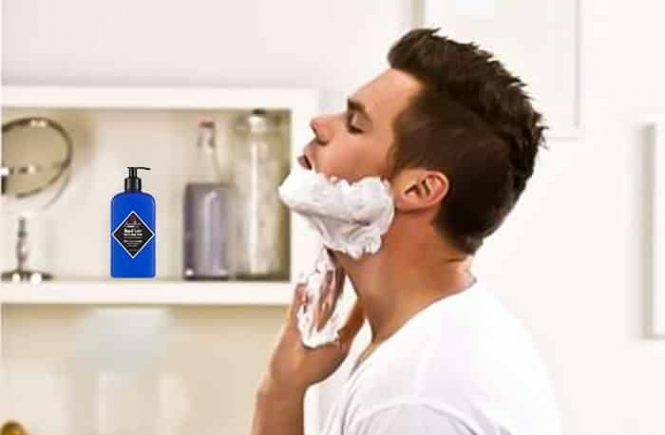 You can have a wet shave in your shower every time. If you intend to use shaving cream, foam, and gels like manual razors, you can do it by this machine easily. If you like close shave and use manual razors, then you should try this electric shaver at least once. In each wet and dry shaving tests, the Braun 9095cc performed implausibly well. 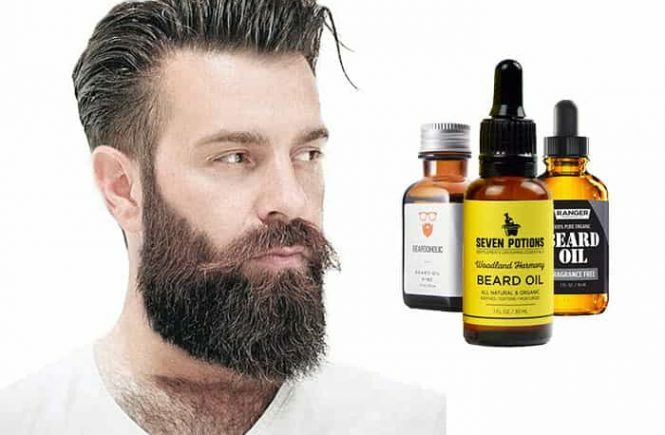 It gives incredibly close shave even ingrown hairs, proven on three-day beards. After a close shave with this machine, we bet you do not need to go back to the manual razors. Braun discovered this model keeping in mind the skin comfort for any type of skin. This is very comfortable shaver and most comfortable shaver ever Braun made. 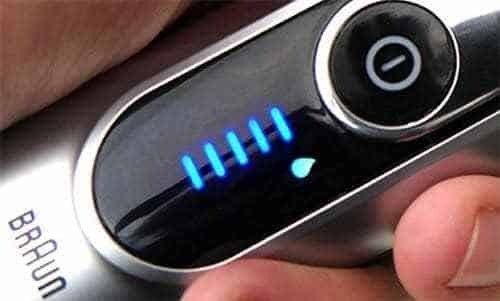 When you hold the device and make some strokes, you ought to understand there is something special on your hand than all other electric shavers ever you tried. It has flexible blades which go ups and down according to passing areas are mainly responsible for highly comfortable shaving. Ultra Durable with 2-Years Warranty. Braun promises this is an ultra durable shaver and they officially provides 2-years of limited warranty for Braun 9095cc electric shaver. It is producer’s suggestion to replace the shaver head once a year to get the closest shave every time like a new shaver. The Braun Series 9 electric shavers are very easy to clean and charge. With this Braun 9095cc shaver, it has world’s only 5-action Clean & Charge station which hygienically cleans the device, charges, lubricates, dries, selects cleaning program and dries at the touch of a button. It has also a quick charge option at the bottom of the handle. You can plug the charging cord directly to the power and attach it to the quick charging plug and get enough fuel for a full shave within 5 minutes. You can clean the device manually without the clean and charge station if you have hurry. 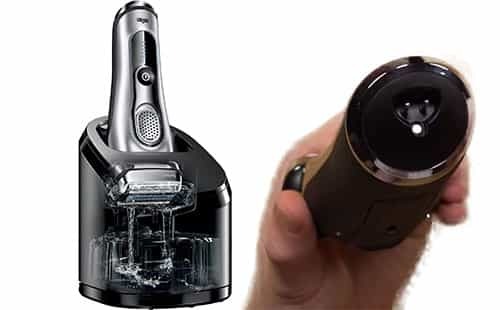 Just remove the fuel cap and clean the shaver head by the cleaning brush provided with the shaver in the box and also shake the fuel cap to clean the blades. Fortunately, for being fully waterproof, you can directly rinse it into the water and clean it easily. The shaver runs by the rechargeable Lithium-Ion battery which offers fully cordless use. The average battery runtime is 50 minutes in 1-hour charge. With the clean & charge unit, it becomes fully charged within 1 hour and there is another option for quick charge the battery with a direct connection of power by the charging cord. It has LED Battery life display on the handle which indicates battery and charge runtime, hygiene indication + travel lock indicator. From what you can understand when you need to charge the device and how much fuel you have to perform. This shaver has a LED display, which shows me the amount of charging remaining in the battery. So, I never have to worry about if it has enough charge to complete a shave. The display also has two other indicators, there is a cleaning indicator to know when it requires a clean and the ‘travel look’ so that it doesn’t power itself on when it put in your briefcase while traveling. The shaver comes with high power motor and four different cutting elements. As a result, it will catch much hairs in fewer strokes. The Braun 9095cc electric shaver has Intelligent SyncroSonic technology with The synergy of 4 specialized cutting elements and intelligent Sonic Technology which offers 40,000 cross-cutting actions per minute. The technology allows the device to capture different types of hair. This is very good for sensitive skin as well as thicker hairs. This shaver head contains 4 specialized cutting elements that work in complete synchronization. It makes sure to give you the best shave as possible. Each of these elements has a different function to perform. So, you don’t have to put in any extra efforts to shave on any part of your face and neck. 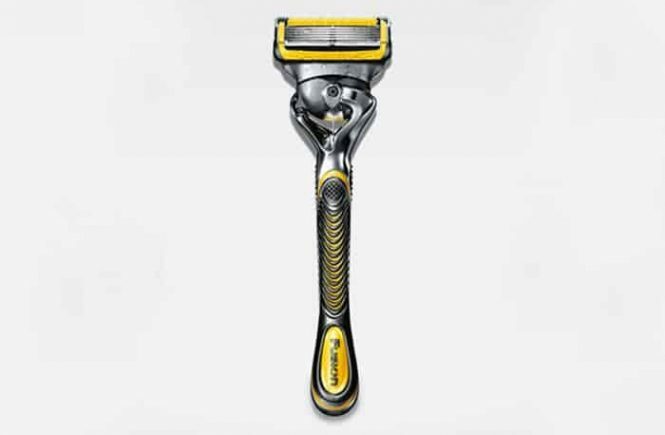 There are 2 OptiFoil cutting elements around the shaving head of the shaver. These cutting elements play the most important role to give you the close shave with this shaver. The blades of Braun Series 9-9090cc are covered with a foil sheet. It is used to prevent the blades from making direct contact with the skin. In manual razors cuts and nicks that are very common. The foil sheet prevents this. This technology also allows the shaver to glide easily over the contours of your face. This top-notch cutting element first lifts the flat-lying hair on your skin. And then this cuts it. This technology helps catch hair that grows in various directions. It is for effective cutting. It has a precision trimmer that can be used to trim and also give quick final touches to your sideburns and mustache. But personally, I don’t prefer using it to trim thick beards because this will make the blade dull sooner than we expected. 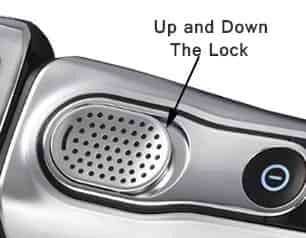 The head of this shaver can be locked at five different angles. It offers ultimate precision. While you are shaving the jawline area and then move to a different angle while you reach your neck for getting dynamic results, you can use a particular angle. In shaving time, if you frequently have to lock and unlock the shaver head, this feature will save you from this disadvantage. Braun did not make this device thinking about all people. The price of the Braun 9095cc electric shaver is very high. Braun developed this costly model thinking about only the people who intend to use the best product. Every best product charges the best price obviously. Braun is one of the most famous brands all over the world. And it is available in most of the countries throughout the world. So, Braun’s electric shavers are easy to find as compared to other brands and models. You can buy them at your local dealer shops or online shops like Amazon, Walmart, eBay. For online shopping, I think Amazon is the best. Follow our provided Amazon links and deep orange color buttons to buy or check the price of this shaver. Braun series 9-9095 is undoubtedly one of the best electric shavers for men. It has a number of features that aren’t available in other shavers. This ultra modern and wonderful foil shaver is thought to be the no #1 amongst all the best shavers. 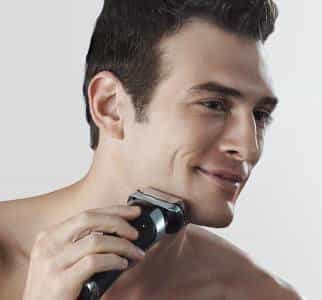 The ShaverZone recommends to all the conscious and luxurious men to try this device at least once to have a great experience with best electric shavers. The Braun 9095cc is the most efficient electric shaver you can buy. If you are interested in having a premium performance from a premium shaver, you must try this shaver first. If you want to upgrade your shaving experience, this is obviously the best electric razor you can choose. I tried to cover each and every topic of this shaver in this Braun series 9-9095cc review. In case I missed anything and you are interested in knowing anything more than you are allowed to share it in the comment box. 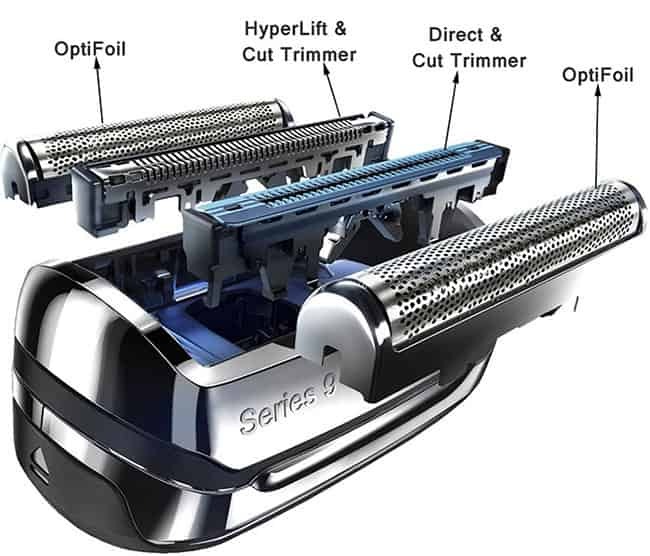 Sonic technology comes with 4 expert cutting elements to catch maximum hair from every part of your face and neck. The shaver glides smoothly and delivers effortless results every time, which we can say extra close shave. As the contours o your face, the head of this shaver adjusts by itself. Starting from the cheeks, it will glide all the way to your neck. While a lot of electric shavers that used had trimmers, none of them could provide with the precision. However, the precision trimmer of this shaver is very easy to use. As it is powerful, it gives me the desired results in the least amount of time possible. Even though this shaver’s motor is very powerful, it doesn’t make any noise like other shavers. If it is too much, you will hear a light buzzing sound. The cleaning station of this shaver is a little bit heavy. Sometimes it is difficult to carry while traveling. The travel case is just for the shaver alone. For this, you need some extra space in your bags to carry this shaver. The head is too wide and quite difficult to control while gliding over the facial skin. The Braun series makes there latest shaver much expensive. But, if you look at the amazing features, this is perfect for the price. I’m using Bruan Series 7 790cc for 2 years. I got an outstanding service from this and the build quality is pretty good. I changed the shaving head only once in this 2 years. Although this is not a wet and dry featured shaver, I’m quite satisfied with this shaver as wet and dry feature is not a big deal for me because I prefer dry shave to wet shave. On the other hand, different brands like Braun, Panasonic, Philips are taking an extra amount of price for the wet and dry feature. But when I compared my shaver with my friend’s new shaver Braun series 9 9095cc, I found the build quality of series 9 is worse than mine. So I think Braun series 7 790cc is the best electric shaver at an affordable price. We respect your preference. And the Braun series 7 790cc electric shaver is really a good shaver. But we do not think the build quality of the series 9 9095cc is bad. And some people like to have some extra features such as wet and dry feature. The Braun 9095cc shaver is for those people who love to shave with soap, foam, gel or water and like to have a long-lasting shaver. Personally I like foil shaver. I am very much delighted to use Braun series 9 9095cc for its outstanding performance. It has wet and dry feature which attracted me to buy this shaver because I always love to shave with gel. I feel very comfortable and easy to shave with Braun series 9 9095cc shaver. Thanks to TheShaverZone for helping me to choose a lovely product. Thank you for accepting our suggestion. It’s our pleasure you liked our discussion and chosen the great shaver. Hi, I am looking for a perfect and quality-full foil electric razor. The cost doesn’t matter. I want comfortable and close shave. My skin is very sensitive and I feel razor burn after shaving with manual razors. Which one will be the best for me, Braun series 7 790cc or 9 9095cc give me a suggestion plz. If you have the skin problem, then undoubtedly the Braun series 9 9095cc will be the best one for you. Braun developed this product keeping in mind the sensitive skins and product gives ultimate comfortable shave for sensitive skins. I suggest you have the wet shave with gel or foam and use antiseptic after shaving. As the Braun series 9 9095cc shaver has wet and dry feature, you can easily have wet shave with this great shaver. The shaver is very quiet. I love it’s performing motion. All the including are very rich in quality. In a word, this is a compact package. to say it was an excellent find. Thanks!